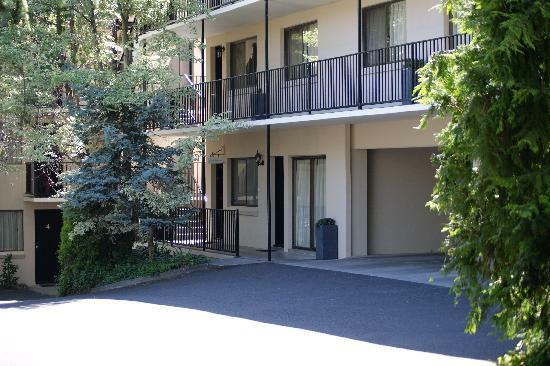 The Grosvenor Court Apartments is close to everything that Hobart has to offer and features numerous guests facilities including direct internet access, faxing facilities, free car parking, guest laundry, baby cots available and daily housekeeping. Grosvenor Court Apartments is located within easy walking distance of Sandy Bay Beach, Hobart City centre, Salamanca Place, Battery Point and Constitution Dock with Wrest Point Casino also just minutes away. Excellent value and ideally located near Hobart's most popular tourist areas. Please note that not all apartments are on the ground floor. The Maison del Mar is just a short distance to many of the things that Hobart has to offer. The property also features numerous guests facilities including free car parking, bbq, garden, 24 hour reception and babysitting service. Very well appointed, comfortable and roomy 2 bedroom apartments, located in one of Hobart's gracious georgian waterfront mansions, which have been newly renovated and are tastefully decorated with a nice blend of antique and modern and original art works. 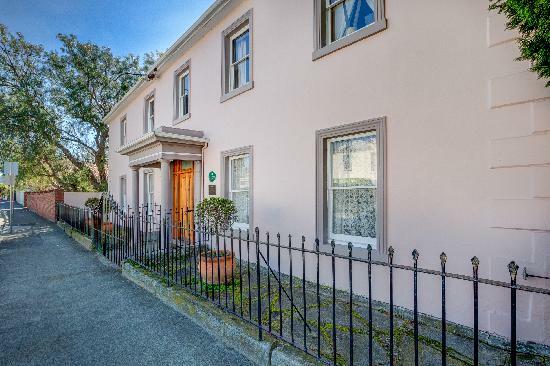 Ideally situated in a perfect location with beach at back door, bus stop at front door, a gourmet delicatessen across road, excellent restaurants, university, casino and city close by. The Maison del Mar offers a well located base to explore Southern Tasmania. Perfect for an intimate escape, romantic getaway or a family retreat. The Mayfair Plaza Motel Hobart is close to everything that Hobart has to offer and features numerous guests facilities including disabled facilities, faxing facilities, free car parking, guest laundry, tour desk, babysitting service and daily housekeeping. Our focus on guest satisfaction means that your stay will be of the highest standard. Just minutes away from the Wrest Point Casino and Convention Centre, Salamanca market, historic Battery Point, Hobart CBD and yacht clubs, the Mayfair Plaza is an ideal base from which to explore the exciting atmosphere of southern Tasmania. 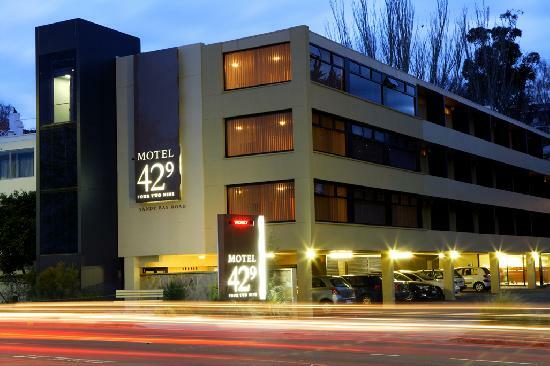 By choosing to stay at the Motel 429 you will be placing yourself near everything that Hobart has to offer. Also you will be able to make the most of the many guest facilities at the property including business centre, faxing facilities, free car parking, guest laundry, gym & fitness equipment, lift, sauna, spa, tour desk, bbq, baby cots available, babysitting service and daily housekeeping. Each motel room has self-controlled heating, direct dial phone, mini bar, electric blankets, complimentary tea and coffee and in-house movies. After a day discovering the delights of southern Tasmania, you can return to Motel 429 to relax and enjoy a spa, sauna and perhaps a workout in the gymnasium. We look forward to offering you a warm and hospitable welcome to Hobart.